Rediscover the great outdoors and enjoy being yourself again with All Terrain Wheelchairs from Colours. Sportaid offers a complete selection of All Terrain Wheelchairs designed for the outdoors that suit your favorite outdoor activities. You can even push these wheelchairs pushed into the surf so that you can experience the thrill of breaking waves over your body. The Colours All Terrain Wheelchairs gives you the freedom and advantage to go places you couldn’t go in an ordinary chair, such as the beach and hiking trails. Take the path less traveled as far as you want with the Colours Tremor Beach Wheelchair. 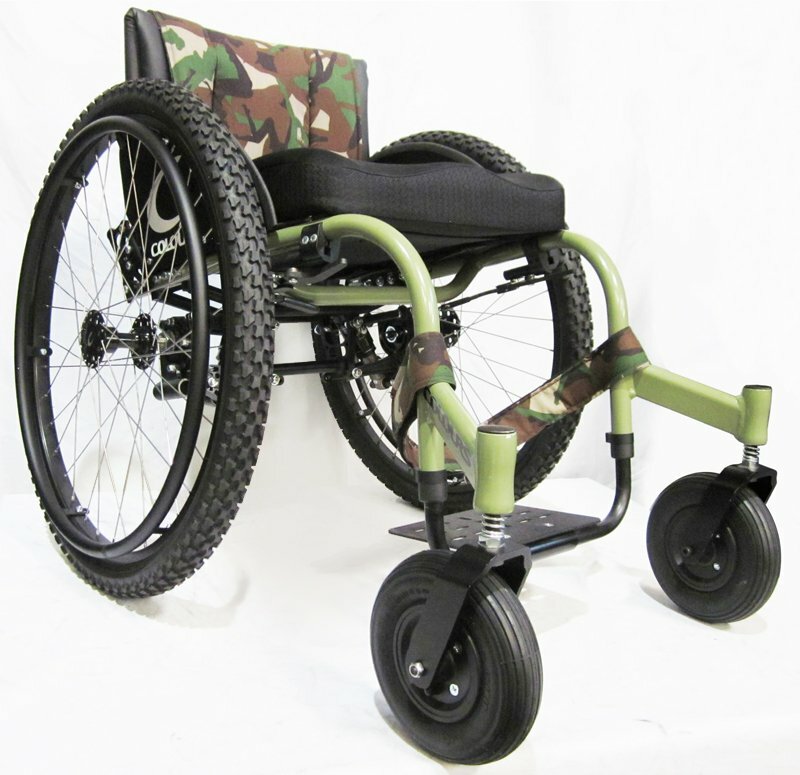 The Tremor Beach Wheelchair is designed to travel through sand, mud, snow, and over rough terrain. Now participate freely in recreational activities that would otherwise be off-limits. This all terrain wheelchair from Colours will help you in getting back your freedom by allowing you to pursue indoors and outdoors activities. To make your movement smooth and swift, browse through our high quality collection of Colours All Terrain Wheelchairs below or feel free to call 1-800-743-7203 for help. You'll be glad you did! Select from the top manufacturers and save big with Sportaid.com's everyday low prices. Sportaid customers save 32% on Colours All Terrain Wheelchairs compared to the competition! We guarantee satisfaction for all our customers from first time visitors to long term repeat shoppers. As an industry leading, we have been helping people find Colours All terrain Wheelchairs at the lowest prices for over 25 years! We carry a large selection of wheelchair cushions, wheelchair parts, and wheelchair accessories. We are capable of beating any competitor's advertised price, just call! Our customer service staff has over 50 years of experience, plus over 90 years of combined wheelchair use experience. We look forward to working with you!